The problem with most tennis shoes is that you need to compromise durability for comfort once the weather gets warmer. Nylon shoes don’t do much when it comes to keeping our feet cool, and the durability of cotton leaves a lot to be desired. Still, mixing the right “ingredients” can also pave the way for the creation of the perfect shoes. 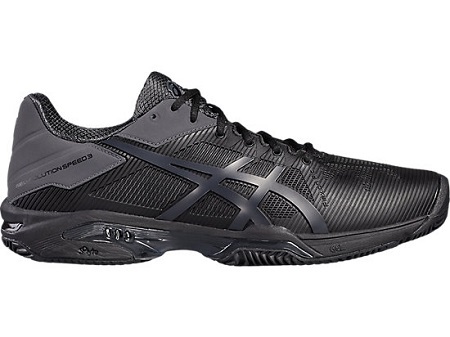 In that respect, we will see if the Asics Gel-solution Speed 3 tennis shoes are the right choice for you or not. With their textile and synthetic mesh, these shoes combine both durability and comfort. The textile part will make sure that they are breathable, while the synthetic parts are put in the right places to ensure that they don’t wear and tear anytime soon. As a result of that, these shoes are not only perfect for those playing on a hard court, but also for those practicing a serve and volley style. The PGuard toe protector also adds to that, and it further enhances the durability of the shoe under stressful movements. The Asics tennis shoe features forefoot and rearfoot gel cushioning system, which will attenuate the shock brought by the impact on hard courts. Moreover, the upper features a Flexion Fit system that allows you to move comfortably without having to sacrifice the support. The rubber sole is anti-slip, with a herringbone tread pattern that will keep you anchored to the ground. This way, even if you are playing on a grass or clay field, you will not be at a risk of losing your footing. You can find these shoes in a variety of colors so that they suit your sense of style as well. When it comes to buying tennis shoes, you usually have two choices: you either buy them for soft courts, or you buy them for hard courts. However, since these shoes feature a special construction, you can use them for all types of fields. For one, their performance on hard fields is literally hard to get over. Since the shoe also mixes synthetic materials along with the textile, its durability is increased – and can, therefore, withstand the harshness of a concrete field or a serve to volley playing style. On the other hand, the sole pattern features an intricate herringbone design that will allow you to have a strong grip on the ground. Furthermore, it leaves no marks on the ground, so you can safely use them on grass fields. 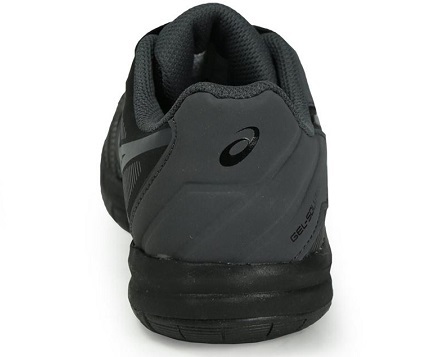 The gel cushioning system is by far the most convenient feature of this tennis shoe. For one, it will allow the shoe to take the shape of the foot much faster, therefore cutting the break-in time greatly. Moreover, the gel will cool and keep your feet dry. You won’t be perspiring anytime soon in this pair. The general opinion is that these tennis shoes represent the best choice when it comes to hard courts since they offer a very good amount of cushioning. Add the gel system into the mix, and most of the shock is absorbed. A lot of people who experience pain in the ankles and joints mentioned how these shoes improved their lifestyle. 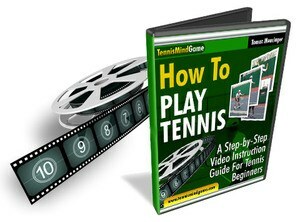 The aesthetics are also appreciated, and many people love the fact that they can be used for purposes other than tennis. Some people did complain, however, that they run small. They purchased the size that was usually normal for them only to find out that they fit small. We love the fact that they are very lightweight even though they are designed for hard courts. This is probably thanks to the reinforced EVA rubber sole and the gel cushioning system; you barely feel them on. We also liked the fact that you can pick from many colors. So, whether you want a classic white, a mysterious black, or a bright yellow color, there are many options for you to choose from. They feel a bit narrow, so if you have a wide foot, this might prove kind of problematic. If you go a size larger to fit the width, then you are left with space at the toe area. Prices vary depending on the color that you choose. You can find them for a little under $80 or a bit over $180. Furthermore, if you buy them from Amazon and the size is not right for you, then you get a free return for some of the colors and sizes. The tennis shoes also feature a 6-month guarantee. However, thanks to their durability, there was rarely reported any need for a replace. If you buy these shoes at the right time from Amazon, you also have all the chances of getting a pretty good discount, as well as shipping advantages. However, it all depends on the model that you prefer. Overall, this is a very good pair of shoes and they are the perfect choice when it comes to playing on a hard court. They are very resistant to wear and tear, and they will most certainly live out their warranty. They are very comfortable, and they will barely need any break-in time. You can wear them no matter if you are playing tennis or you need a pair of good shoes for your evening runs.